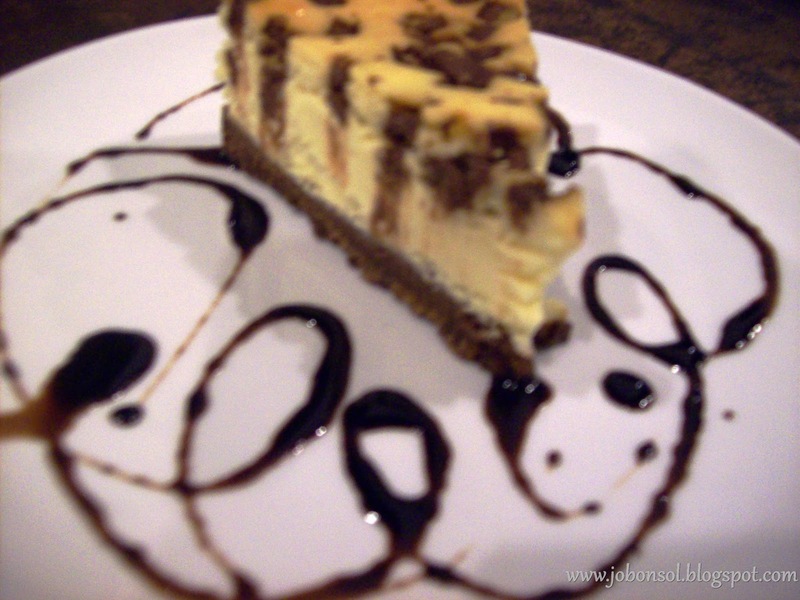 Review: I've met and ate at GoodFellas Steaks and Burgers! The meat of the conversation came from the meat and more. 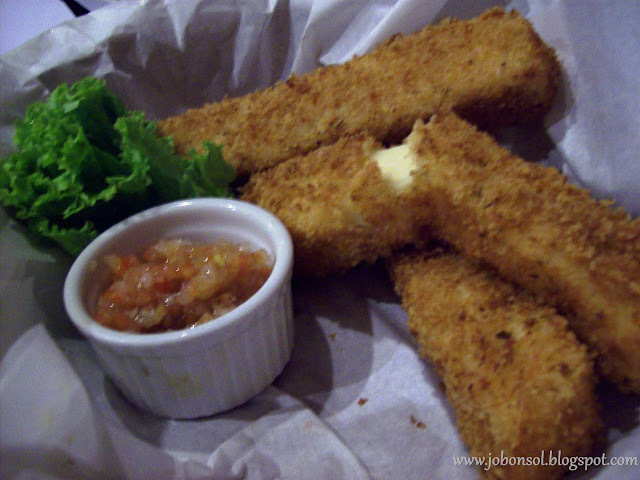 I was invited to try the food at GoodFellas Steaks and Burgers located in the corner of T. Gener and K1st Sts., Kamuning, Quezon City with other goodfellas food bloggers. The buzz on GoodFellas Certified Angus US and SRF (Snake River Farms)Wagyu beef kept popping in wall and I couldn't relate to the conversation until I had to try it myself. 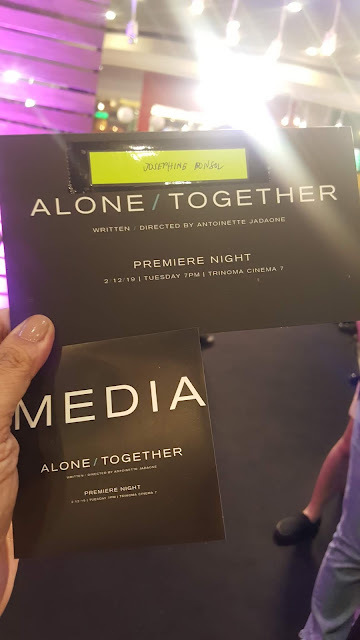 The restaurant was conceptualized after the popularity of the American Mafia in the 80's more famous after the great movie, "The Godfather" by Jon Espiritu III & Atty. 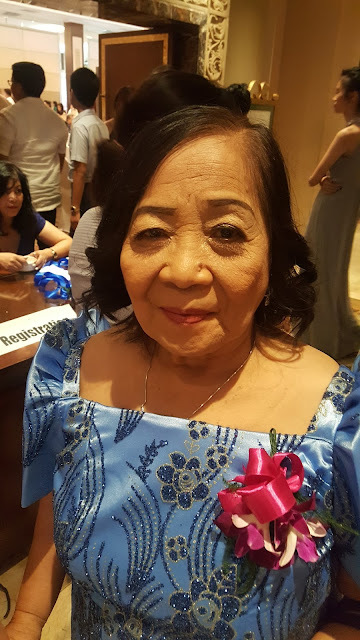 Raji Mendoza. 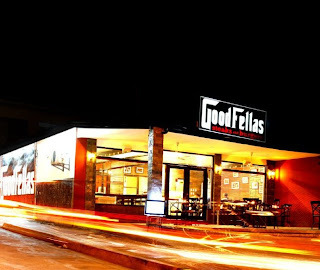 GoodFellas Steaks and Burgers serves more than just steaks and burgers as written in their creatively movie-concept menu diners will definitely pop conversations with. 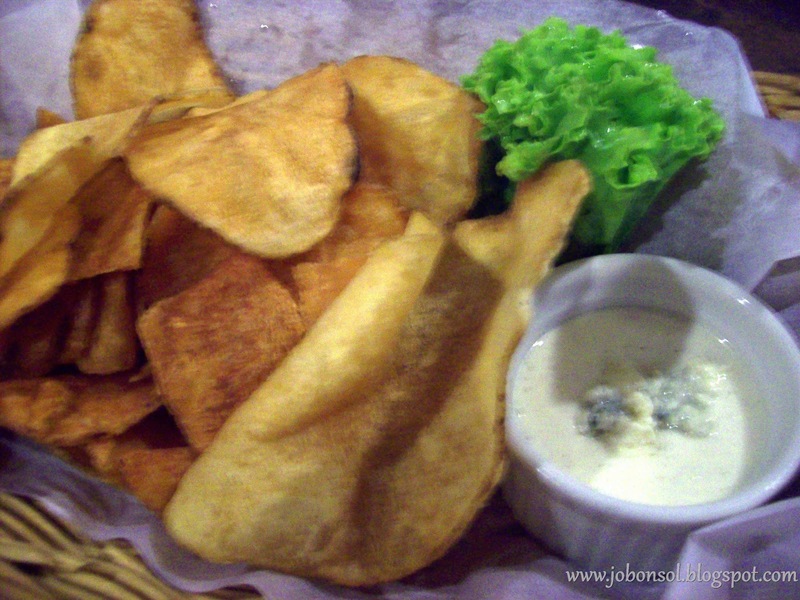 We were first offered appetizers, Frenchy (P110/to share) - freshly-made french fries/potato crisps, Bonnie And Clyde (P275/to share) - fish and chips, Gotti's Cheese (P225/to share) - Mozzarella sticks served with tomato salsa dip and Carlito's Gang (P375/to share) - Angus Salpicao. The servings were huge and each appetizer dish can be shared by four and more depending on the appetite. Very seldom do I see a restaurant making their own french fries as most of them serves those commercially-made potato crisps and their Frenchy appetizer was really great dipped in that cream cheese sauce. The Carlito's Gang (Angus Salpicao) is also served as one of the Big Plates (Carlito's Way) with mixed veggies and mashed potatoes or rice pilaf available for those picky-eaters who prefer an individual meal of the dish. 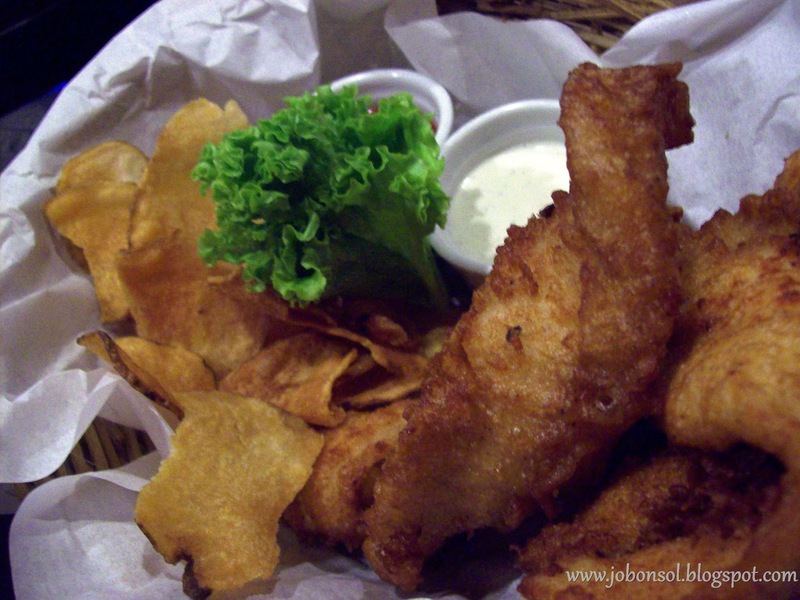 Their fish and chips dubbed as Bonnie and Clyde also had those freshly-made potato crisps. The fish cutlets were soft and really good served with tomato ketchup and ranch dressing sauce. 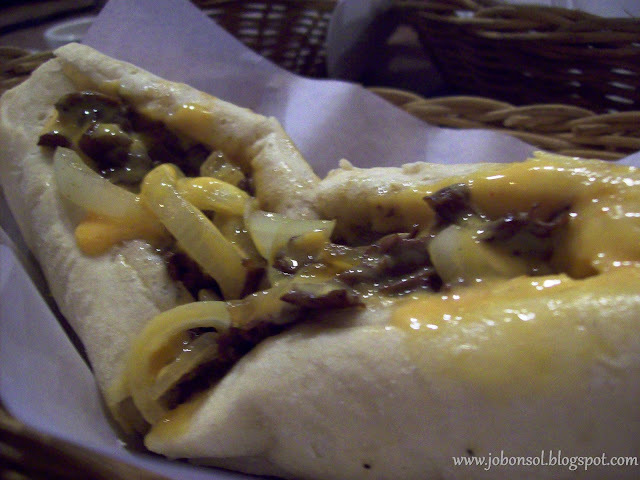 Then came the best-seller sandwich of GoodFellas, Pat and Geno's Sandwich (P220), Famous Philadelphia Angus cheese steak in ciabatta bread)- sweet, spicy and cheesy delight. The sweetness of the onion rings and the tasty Angus steak with Philadelphia cheese convinced me that this is the best sandwich to get anybody from stress. 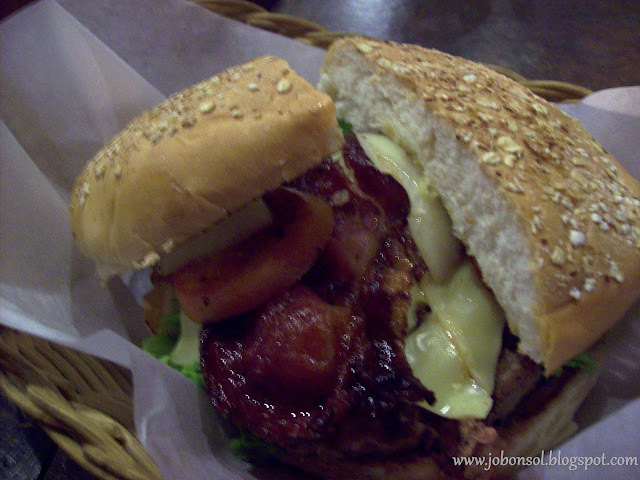 This is the WiseGuy Burger (P295) - a 200grammer honey-cured bacon cheeseburger that's good to share for 2-3 persons. The crunchy bacon was perfect with the cheese and veggies on top of that big burger patty to satisfy all senses. I had a quarter of the whole burger and it was deliciously filling. 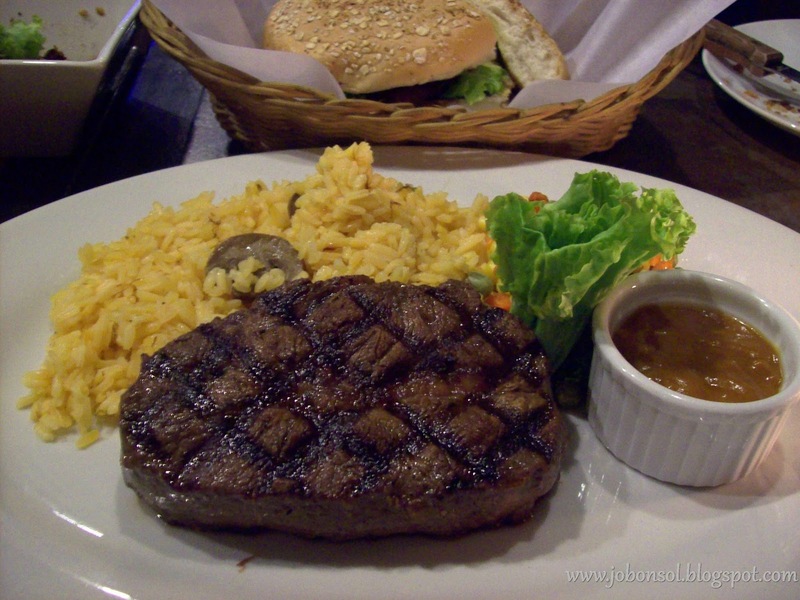 When everyone else chose burgers and sandwiches, I chose to try the Goodfellas House Steak (P325) - 8-10 ounces of Angus House Steak. 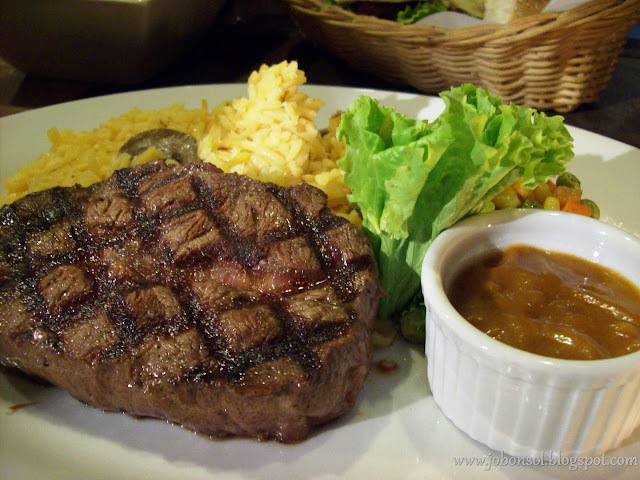 Medium Rare as suggested by Jonel Uy, the meat was tender and juicy even without the steak sauce on the side. It was really delicious that I finished the huge serving of the whole steak. The rice pilaf was also delicious with mushrooms perfect with those mixed veggies on the side. The meat galore feast continued although the array of cakes came, Toblerone Cheese Cake (P150), New York Cheese Cake (P130), Carrot Cake (P120). The need for sweets after a feast on meats was more fun and delicious with the goodfellas bloggers who got excited at each slice of heavenly cakes. 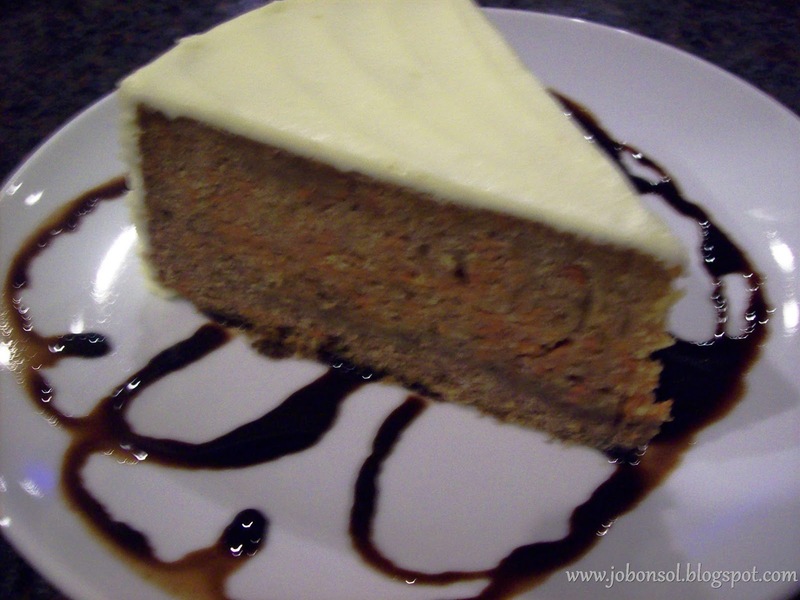 Though some preferred the Toblerone Cheese Cake for its rich chocolatey and cheesy taste, I enjoyed most the Carrot Cake which was soft and not that sweet compared to carrot cakes I've eaten. Looking at the new menu of GoodFellas for more dessert choices, I got excited with what Mt. Everest (P325) would be like so I ordered. We were told it was ice cream and we didn't anticipate it was huge until it came. 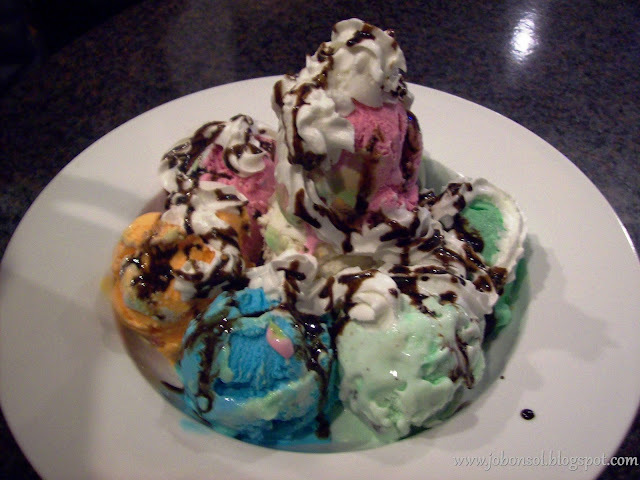 It was 8 slices of ice cream variety with whipped cream and chocolate syrup on top. The Goodfellas bloggers rushed with spoons to try each scoop and guessed each flavors like a contest. This was the most exciting and funniest part of the dinner as each guess was confirmed by another and another would declare which flavors they liked the most. 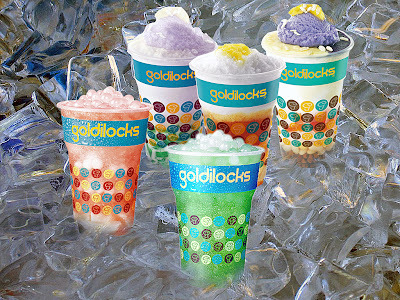 Bubble Gum, Orange, Strawberry, Mint Chocolate and Vanilla. The ice cream scoop at the center became a debate and it was really fun. 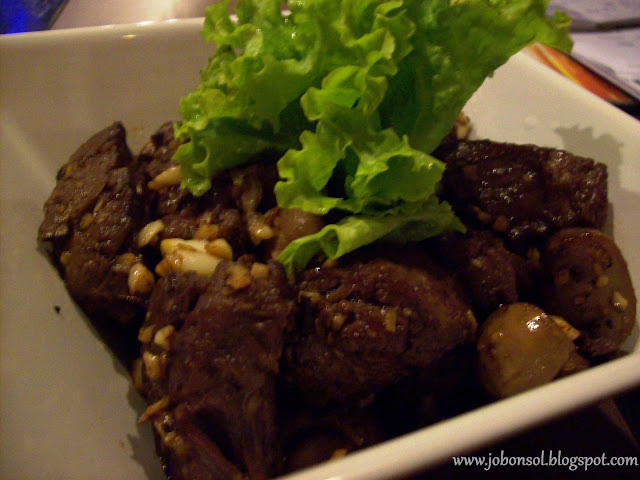 I had a great time with goodfellas food bloggers at GoodFellas Steaks and Burgers. Their dishes named after a movie will definitely spark great conversations among friends and family. Their wonderful ambiance setting the mood for the Mafia will make business meetings cozy and casual. Best of all, their food is so good you'd want to come back for more with more friends. Each dish is huge that you'd feel happy to share with friends over a great meeting and conversations. GoodFellas Steaks and Burgers is perfect for families and friends who'd like to share good food and good memories. I'd defnitely bring my sister and her family here tomorrow. 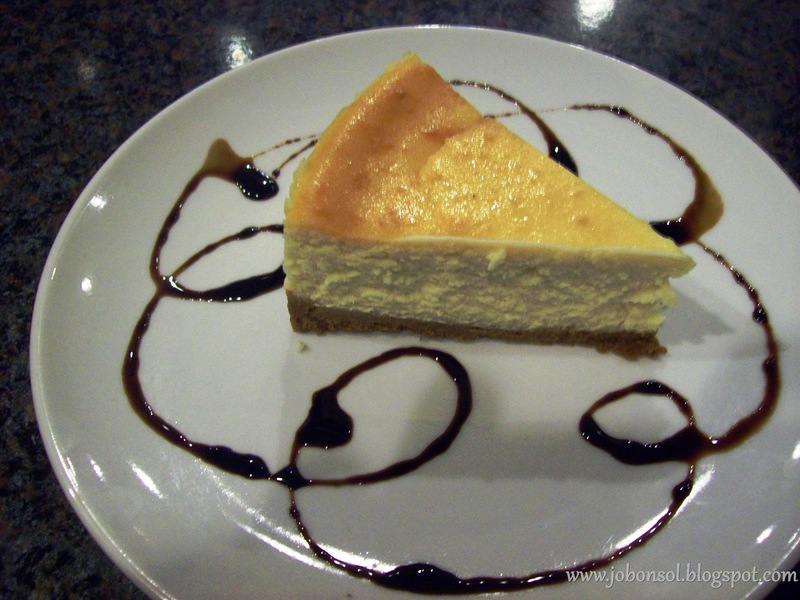 Eat and meet at GoodFellas because good food should come from the Goodfellas. 1. that one of the most important beef grading factors easy to spot in the meat case is marbling. Marbling – the little white flecks in beef – is key to flavor. The higher the amount of marbling, the higher the quality of beef.